Stubborn. Strong-willed. These are not words that seem like positive traits or gifts, especially if they refer to a toddler. I certainly needed to read the book Raising the Strong-Willed Child to understand and learn the best ways to harness that strong will for good. Interestingly, one of my high school Sunday school students said that she thinks being stubborn could be a gift that leads to perseverance, and most people view perseverance as a virtue, so maybe she’s correct. At my house these days, we are watching season fifteen of The Voice. One of the performers that made the show has auditioned for every season. Y’all that’s perseverance. But the other day, a friend said that some people should realize no matter how hard they work, they will never be a professional singer. As an example, she pointed to the auditions for American Idol. She said some people should quit. But when we are serving God and seeking His will for our lives, he gives other nudges, even pats on the back that we are working toward the goal that He wants for us that will best serve Him. The other day He even sent one in the form of a Tweet. Yes, God is on Social Media. 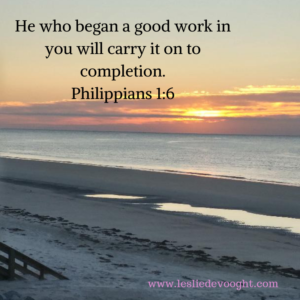 “Be confident that He who began a good work in you will carry it on to completion.” Philippians 1:6. This is one of my go to verses, and there it was on the radio. God knew I was struggling, but He didn’t leave me wondering. He said, Leslie, I gave you this gift and this dream, and you just keep being obedient, and one day you will see success. I know most of you aren’t writers, but you all have work to do—work God has called you for—special work that only you can do. Who encourages you? What scripture gives you assurance? Please share; I’d love to add some more to my bank. We can’t have too many inspirational words, and the verse you love may be exactly the one that someone needs. Please leave your comments on my website so others can see them. I always enjoy your posts, although I don’t always have time to leave a reply to let you know how it has influenced me. I love this post and the reminders to persevere and seek encouragement from God and others. 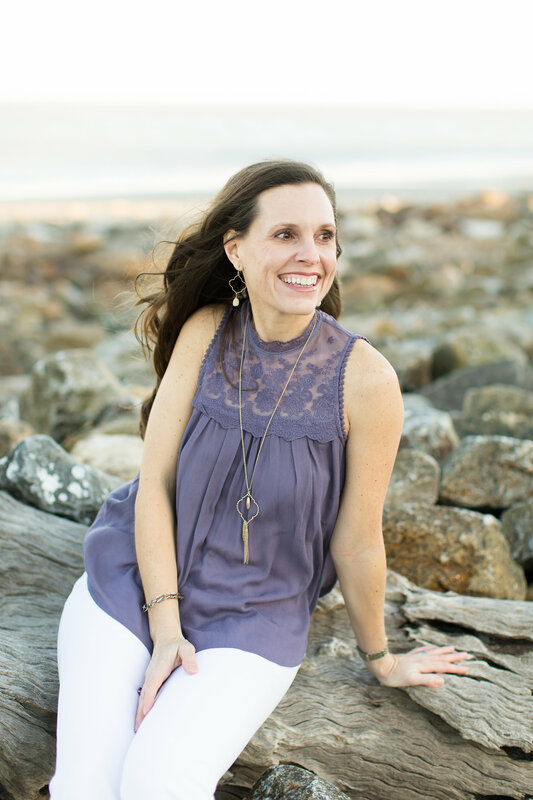 It also left me thinking…am I doing enough to encourage others in my life? Thank you for a beautiful and thought-provoking post. PS I have no doubt that Libby will be a country music star AND President! She is well on her way to her first goal with her joyful and beautiful celebration of God’s glory during contemporary worship!